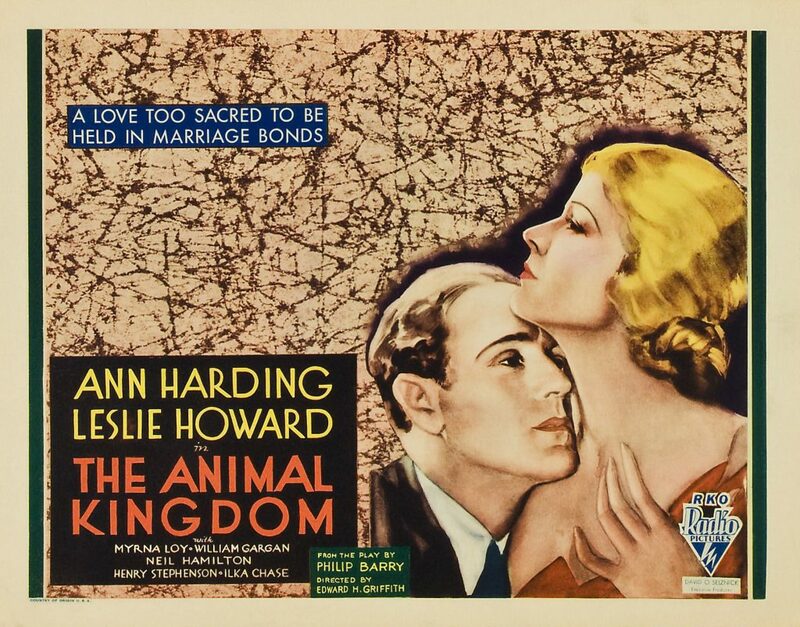 The Animal Kingdom (also known as The Woman in His House in the UK) is a 1932 American pre-Code comedy-drama film directed by Edward H. Griffith based upon a comedy of manners of the same name by Philip Barry. The film stars Leslie Howard, Ann Harding, Myrna Loy, William Gargan, Ilka Chase, and Neil Hamilton. Howard, Gargan, and Chase also starred in the play when it opened on Broadway on 12 January 1932. In 1960, the film entered the public domain (in the USA) due to the claimant’s failure to renew its copyright registration in the 28th year after publication.